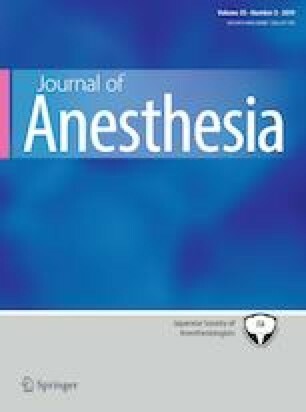 To determine the analgesic efficacy and analgesic duration of lidocaine 20 mg and 40 mg on eliminating the vascular pain associated with hypertonic saline infusion. Patients who complained pain during infusion of hypertonic saline were randomized into three groups. They received normal saline (Group C), or lidocaine 20 mg (Group L20), or lidocaine 40 mg (Group L40). An electronic stopwatch was used to record the time to onset (T1) and the time to termination (T2) of the analgesic effect, and the analgesic duration (AD) was calculated as T2 − T1. The incidence of pain elimination was significantly higher in both of the lidocaine groups (83.3 and 56.1% in Groups L40 and L20, respectively) than in the saline group (16.3%). Furthermore, lidocaine 40 mg was significantly more effective than 20 mg in eliminating the pain. The analgesic duration was significantly longer in Group L40 than in Group L20 (211.4 ± 50.2 vs. 130.3 ± 39.5 s, P < 0.001) and Group C (211.4 ± 50.2 vs. 45.1 ± 14.5 s, P < 0.001), and the analgesic duration in Group L20 was significantly longer than in Group C (P < 0.001). The incidence of transient tinnitus/dizziness was significantly higher in Group L40 than in Group L20 (19.0 vs. 2.4%, P < 0.05). A single bolus of Lidocaine was effective in eliminating the pain induced by hypertonic saline infusion, but just for a short period of time. Lidocaine (without venous occlusion) only provides a short analgesic duration for local vein.